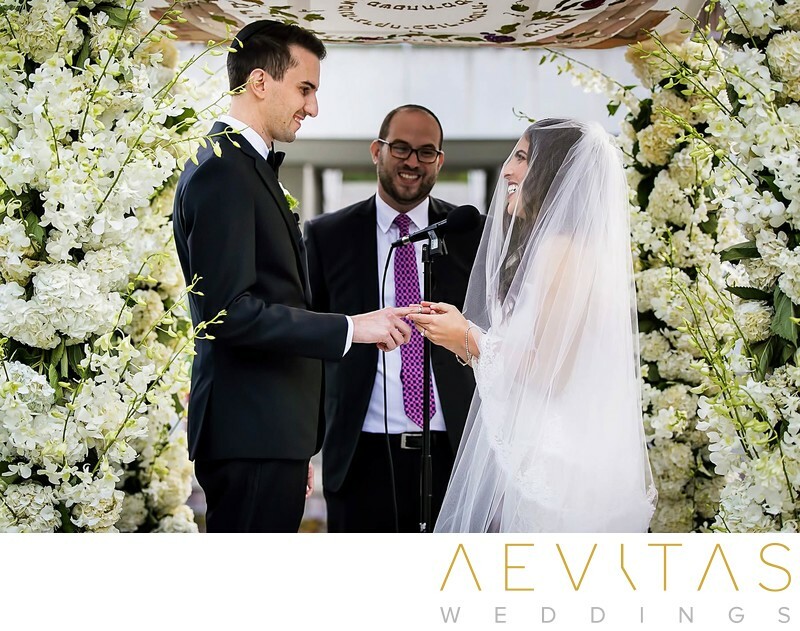 For couples of the Jewish faith, their wedding day is not just an opportunity to affirm their love in front of their family and friends, but a chance to celebrate through long-established rites and rituals that make Jewish weddings undeniably vibrant affairs. 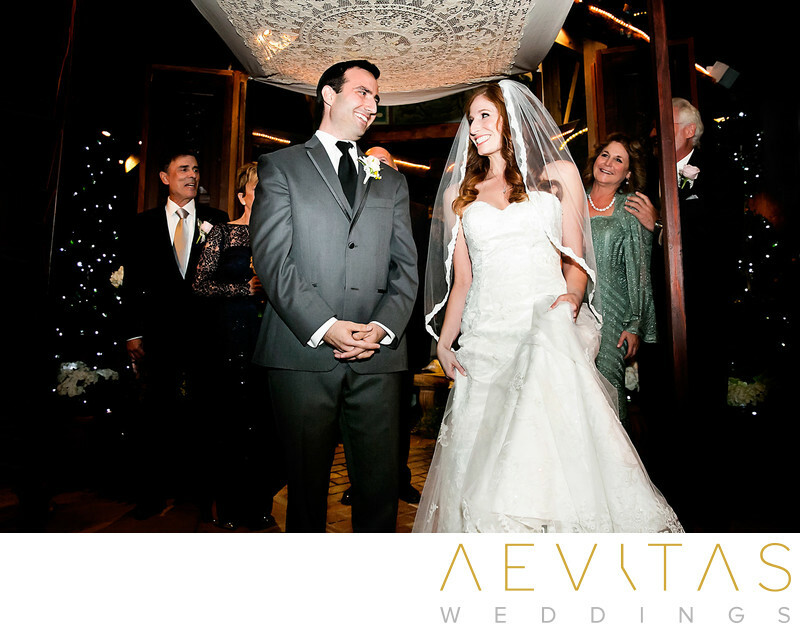 Whether they are opting for a strictly Orthodox wedding, or a celebration that blends their religious traditions with more modern elements, Jewish weddings translate into emotionally-rich and energetic wedding photography. 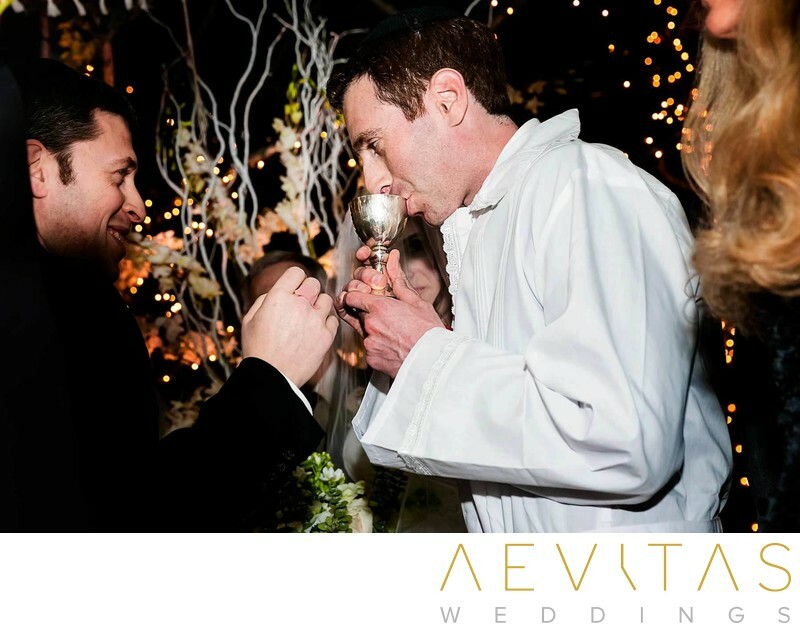 Jewish weddings include the recitation of sacred texts and blessings, led by a rabbi with a strong connection to the couple, as well as more playful rituals, such as the Tisch male bonding session and the Breaking of the Glass. 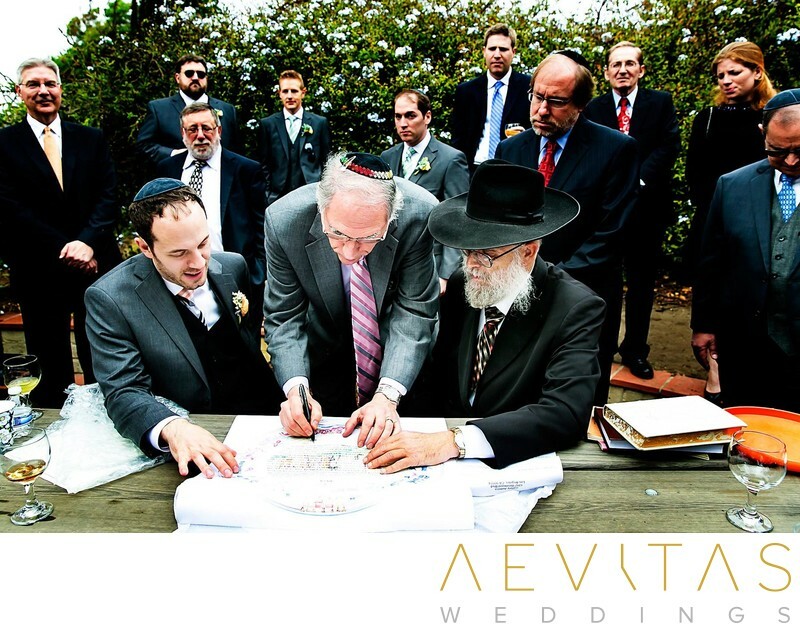 From the signing of the Ketubah marriage contract to the betrothal blessings that take place under the Chuppah, these are traditions that have been passed down from generation to generation and carried by Jewish communities across the world. 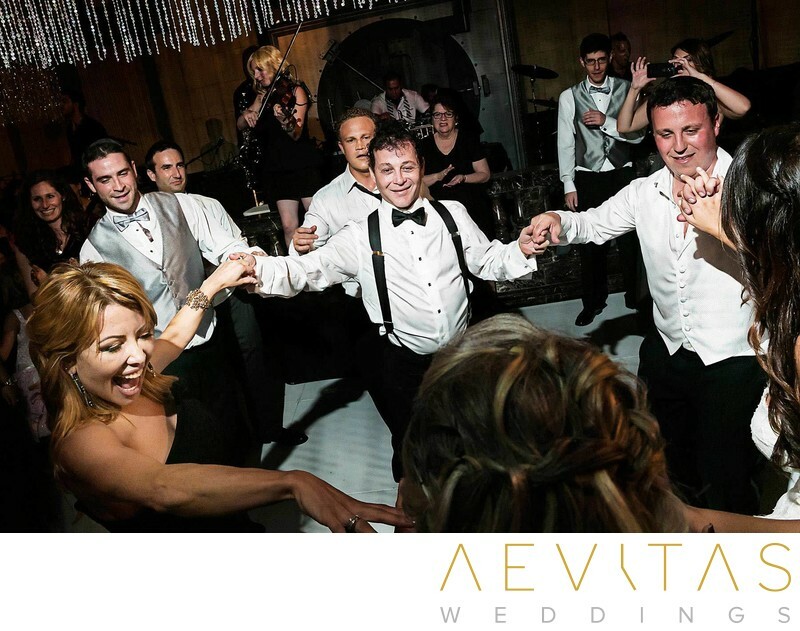 After the official marriage rites have taken place, it is time for everyone to really let loose, with Jewish wedding receptions incorporating indulgent feasting and wild dancing, all of which are infused with cultural traditions. This is a day not only to celebrate your love and the union of your Jewish families, but recognize the rich ancestral heritage and religious beliefs that have led you to where you are. The Tisch was traditionally a pre-wedding moment for the groom to lecture on a reading of the Torah while being heckled and interrupted by his male family and friends. It has evolved into a boisterous male bonding session before the ceremony starts, with a Tisch table laden with food and drinks, and much feasting amidst the singing of Hebrew songs. 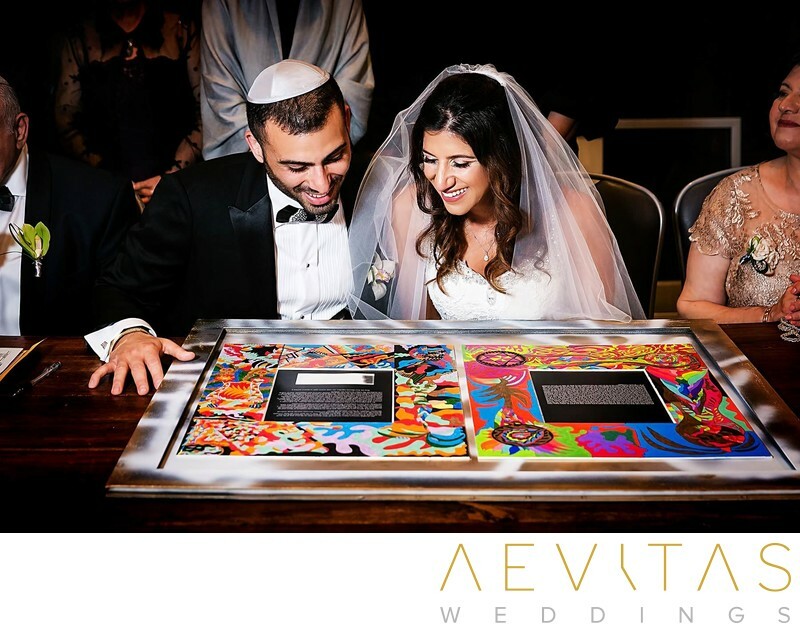 The Ketubah is the Jewish marriage contract, usually signed before the wedding ceremony and in Orthodox communities only by the groom, two male witnesses and the rabbi. 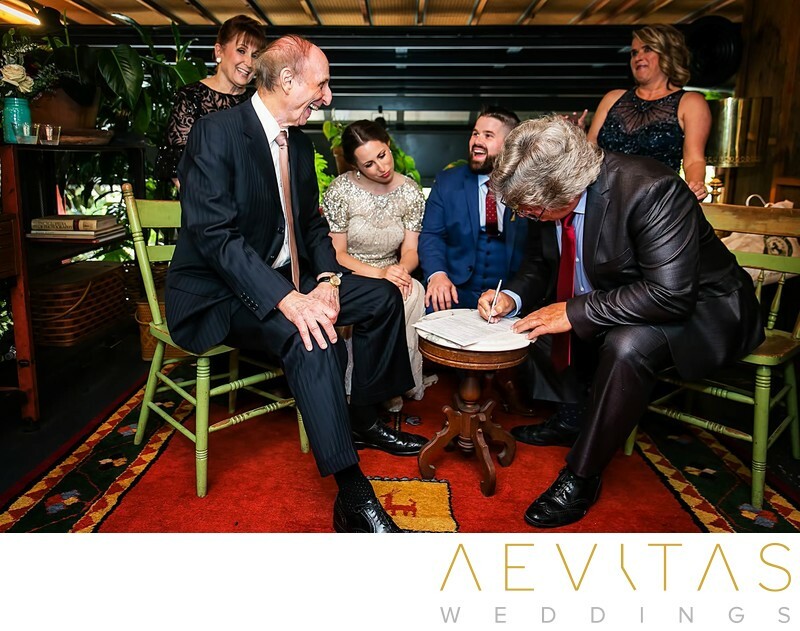 It details the groom’s obligations to his new bride (food, shelter, clothing and a loving married life) and acts as a legally binding agreement that is often framed on the walls of their family home. 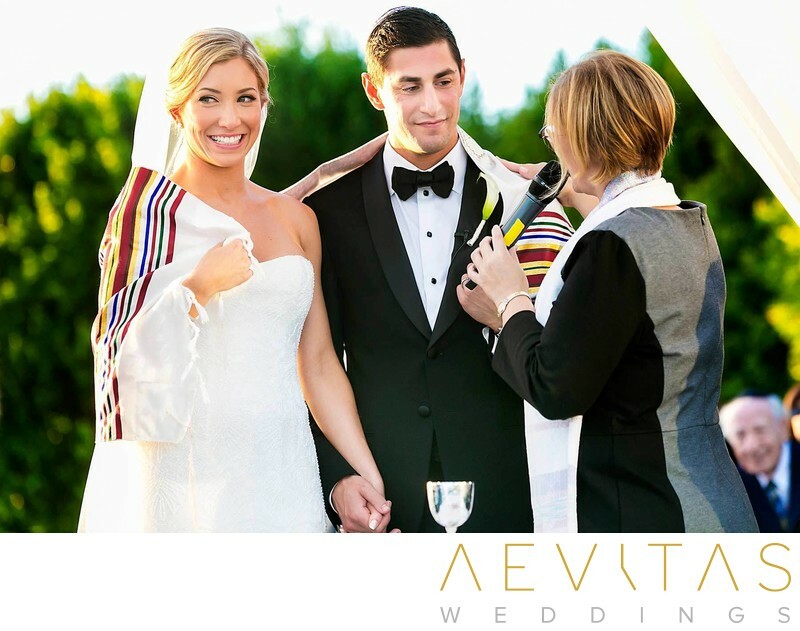 In modern times, the Ketubah is also signed by the bride and her female witnesses, reflecting the more egalitarian relationship of Jewish marriages today. The Badeken ceremony is the first time the bride and groom see each other on the wedding day, with the groom being led by his male family and friends to the bride’s room, where she waits with her female counterparts. Here he covers her face with a veil in a gesture that reminds the wedding party of Jacob being tricked into marrying the wrong bride as her face was covered. 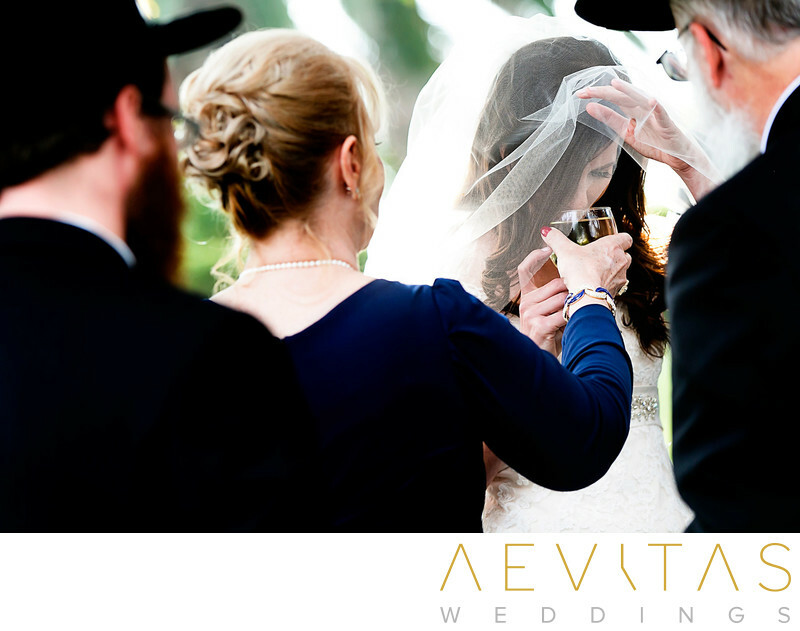 In Sephardic Jewish traditions this ritual is not performed, while in modern times it is often accompanied by the bride placing a yarmulke (or kippah) on the groom’s head. 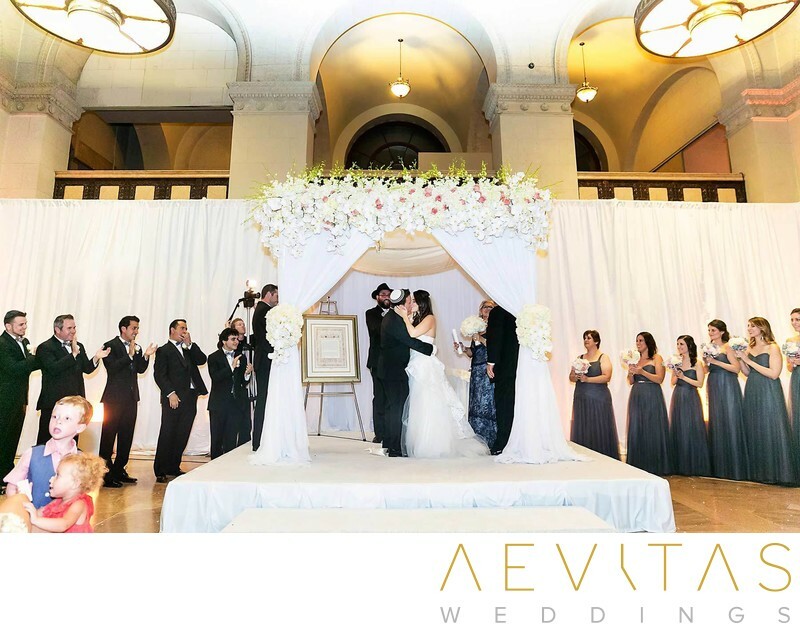 The Chuppah is the traditional Jewish wedding canopy, beneath which the ceremony takes place. 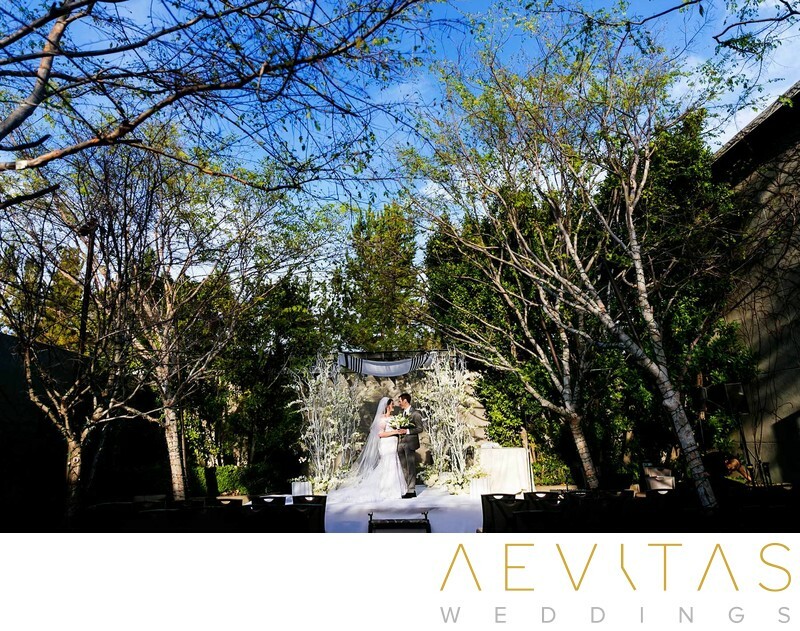 It originated in the days when Jewish weddings were held outdoors and the Chuppah created an intimate space that symbolized the new bridal home being built. 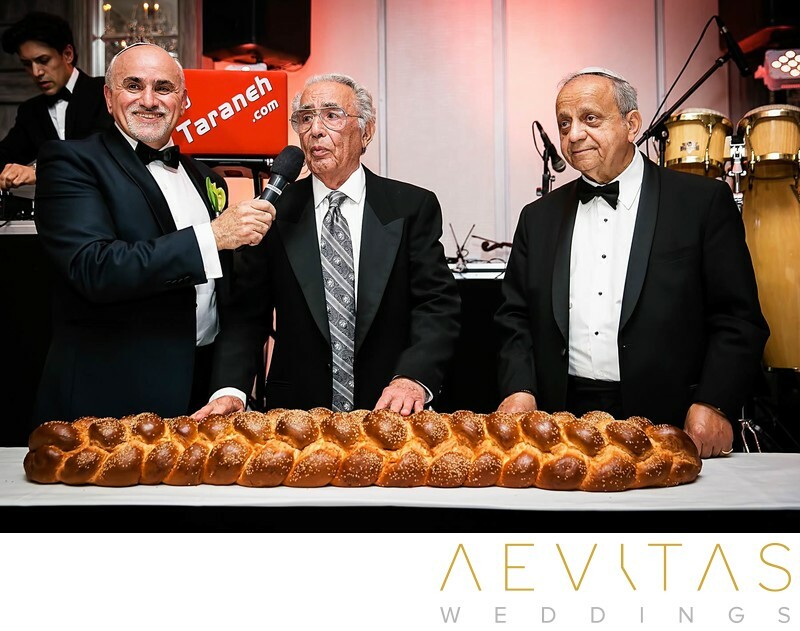 Traditionally the groom is led under the Chuppah by both fathers, while the bride is escorted by her mothers, before walking around the groom three or seven times. Three circuits represent the three virtues of marriage - righteousness, justice and loving kindness - while seven symbolizes the perfection or completeness associated with this number in Jewish belief. 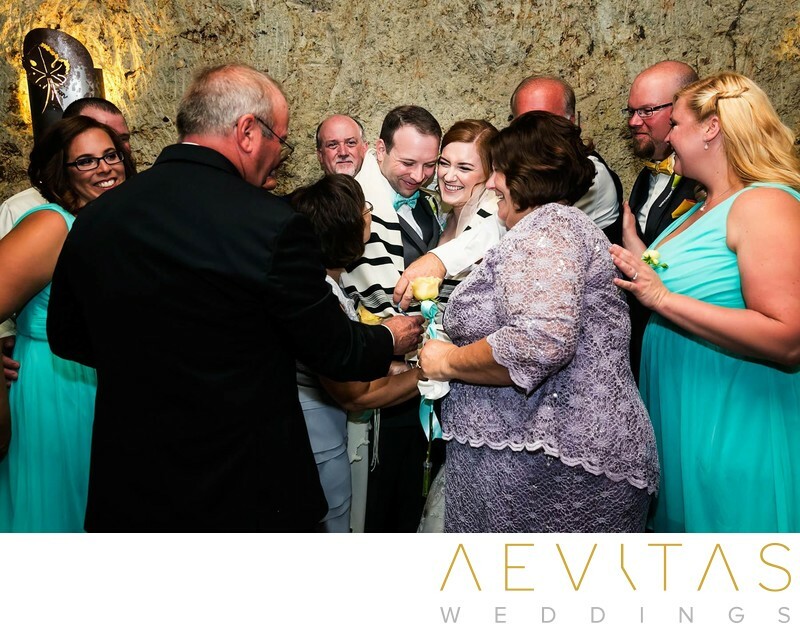 The betrothal ceremony in Jewish tradition is known as the Kiddushin, beginning with a blessing over wine and sips taken by the bride and groom, as well as a betrothal blessing as dictated by the Talmud text. The groom then places a ring on the bride’s right index finger while reciting an ancient Aramaic phrase that translates as “Behold, you are consecrated to me with this ring according to the law of Moses and Israel”. In Orthodox Jewish weddings the bride does not return the gesture, although in modern celebrations she often does, while at the same time reciting a biblical verse. In some Jewish weddings the Ketubah is then read aloud in both English and Aramaic, either in full or paraphrased. The Sheva Brachot, or “Seven Blessings”, are often recited towards the end of the Jewish ceremony, including prayers for peace, praise to God and blessings for the couple. 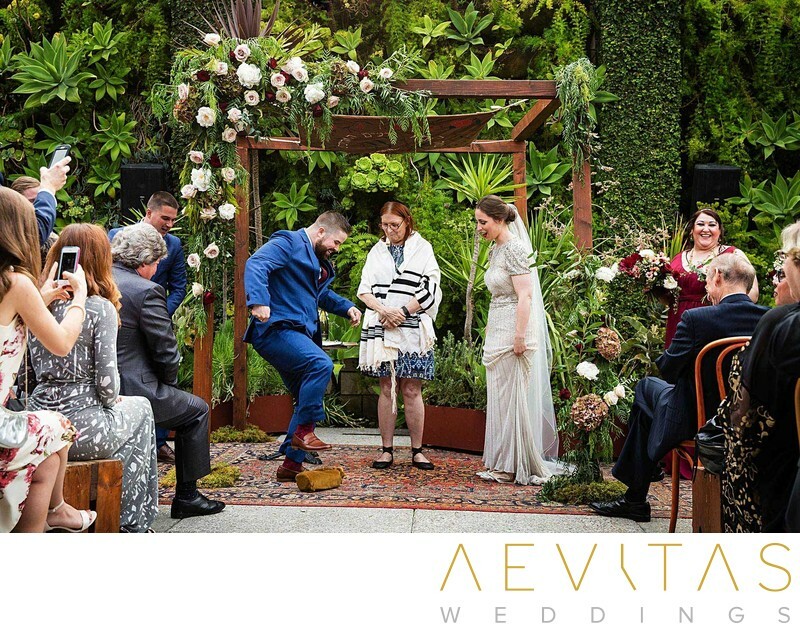 The ritual differs between Sephardic and Ashkenazi Jews, with parents often wrapping the couple in a tallis before the Sheva Brachot recitation in Sephardic ceremonies, and wedding guests invited to share the duty of reading or singing the blessings with the rabbi. The Sheva Brachot is also often read during the wedding reception, after the banquet has taken place. 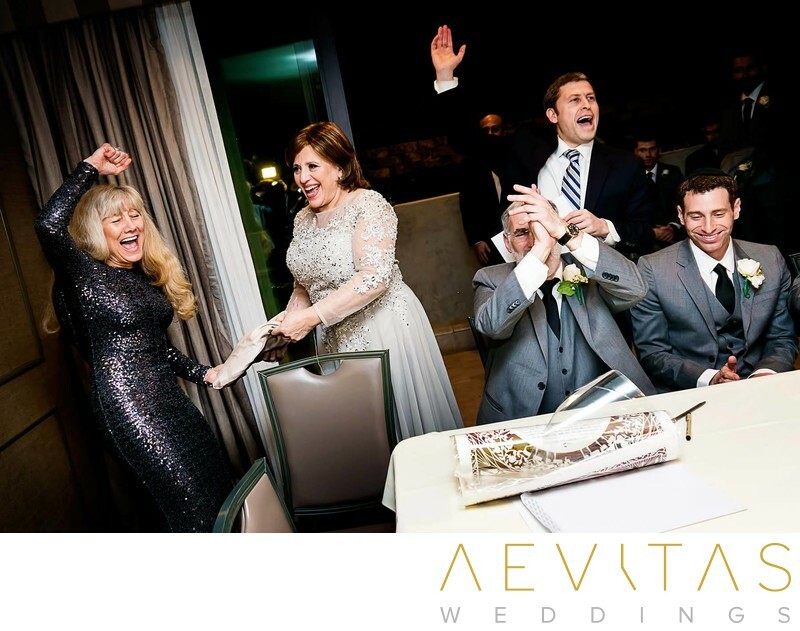 The end of Jewish wedding ceremonies are often marked by the Breaking of the Glass, with the groom taking a wine glass and crushing it with his right foot, while the guests respond with a boisterous “Mazel Tov”, or “Congratulations”! It represents not only the Jewish community’s sorrow at the destruction of the Temple in Jerusalem, but also the Talmud accounts of rabbis breaking a glass to calm down riotous wedding celebrations. In many modern Jewish weddings this is the signal for the reception party to start, and the ritual is shared by both the bride and the groom. 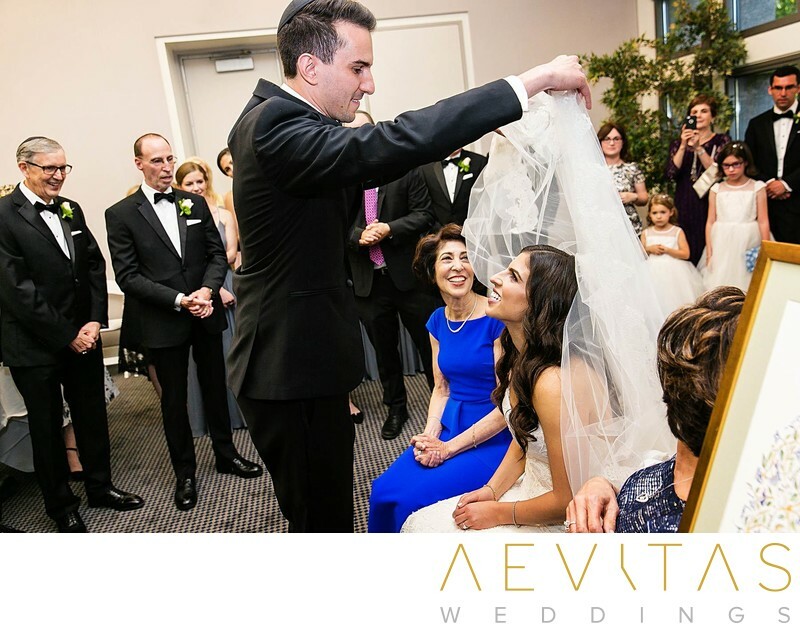 The Yihud was once an integral part of Ashkenazi Jewish wedding practices, with the couple retreating to a secluded room for about 20 minutes after the ceremony to reflect on their new partnership and take some time out with just the two of them. While in some traditions it was considered an important part of consummating the marriage, the custom was rejected by Sephardic Jews who thought it “immodest”. 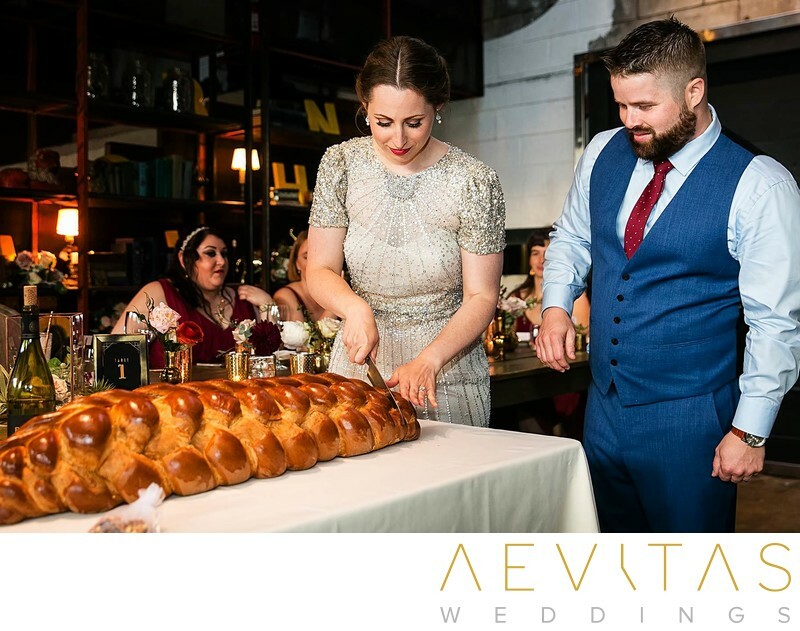 In today’s modern Jewish weddings, the Yihud is often celebrated as a cherished moment when the newly married couple lovingly feed each other a bite of their first meal together. The meal is traditionally followed by the Birkat Hamazon blessings, with two glasses of wine poured into one, signifying the creation of a new life together. 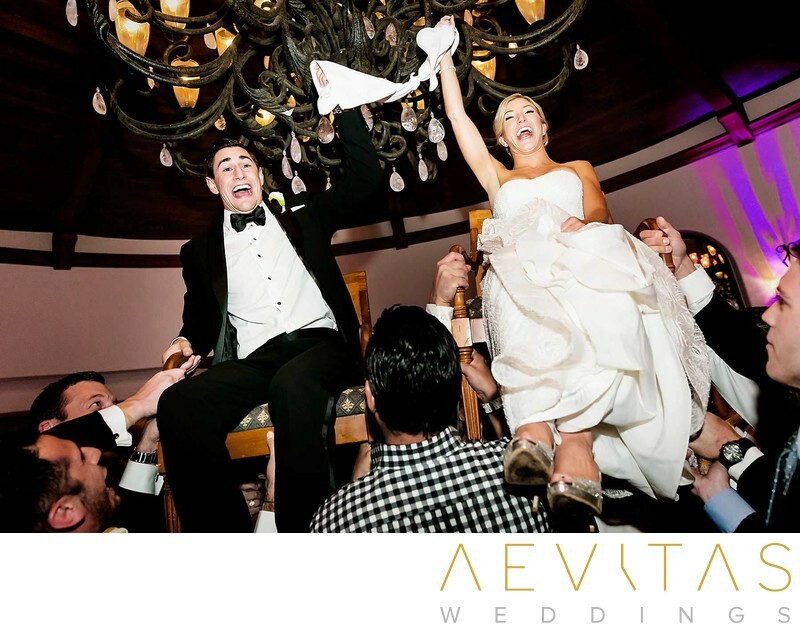 The Horah “chair dance” is one of the most recognizable parts of a Jewish wedding reception, with both the bride and groom lifted above the crowd on chairs while their friends and family dance around them. Once they have returned to earth, it is then customary for family and friends (or Badchans jesters) to entertain them with masked Mitzvah dances and silly props. 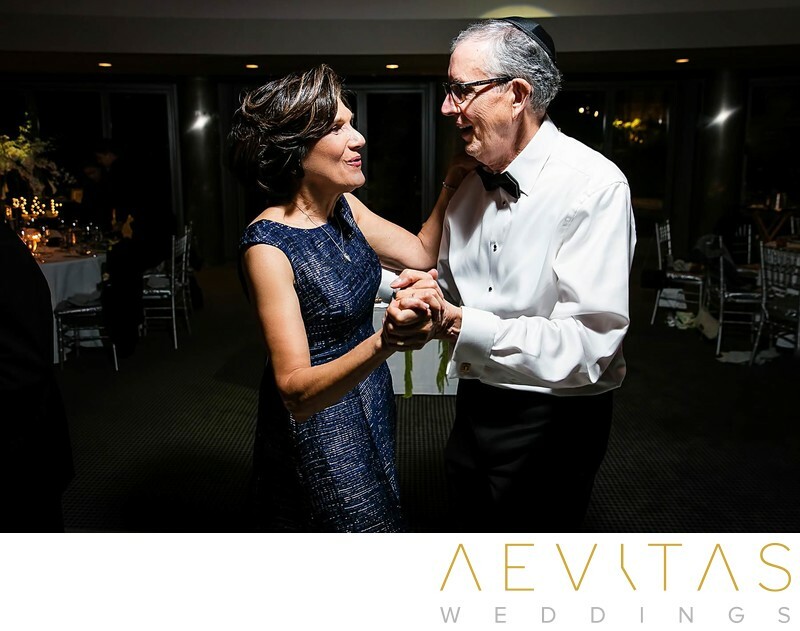 The Mezinke Tanz or Krenzel dance is often held towards the end of Jewish wedding receptions to honor parents who are marrying off their last child. A crown of flowers is placed in the mother’s hair as she and her husband sit in the middle of the dance floor, while family and friends dance around and congratulate them. 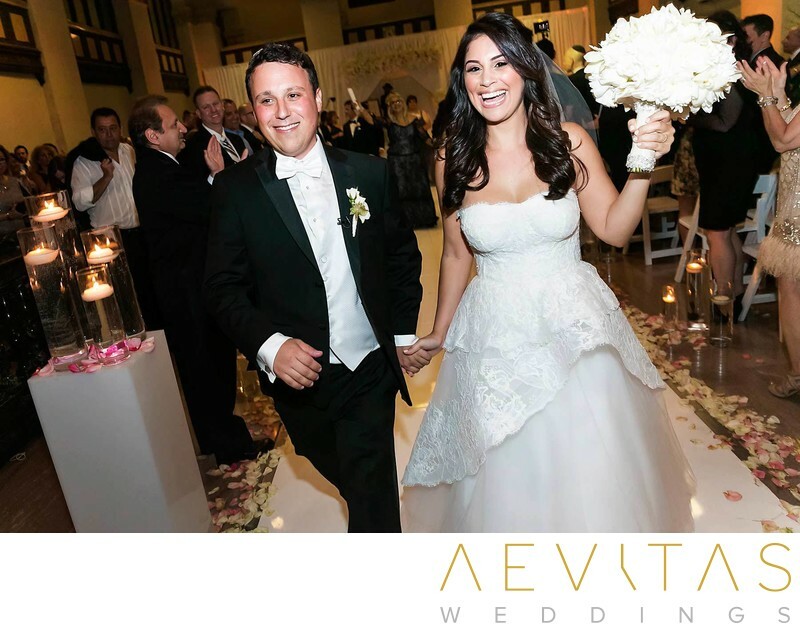 With strong cultural traditions and a really boisterous style of celebration, we absolutely love to be a part of Jewish weddings and all of the different ceremonies they involve. From the male-bonding of the Tisch to the intimate moment of the Yihud, we love the range of atmospheres and emotions that Jewish weddings invoke, and the creative photographic potential that results. 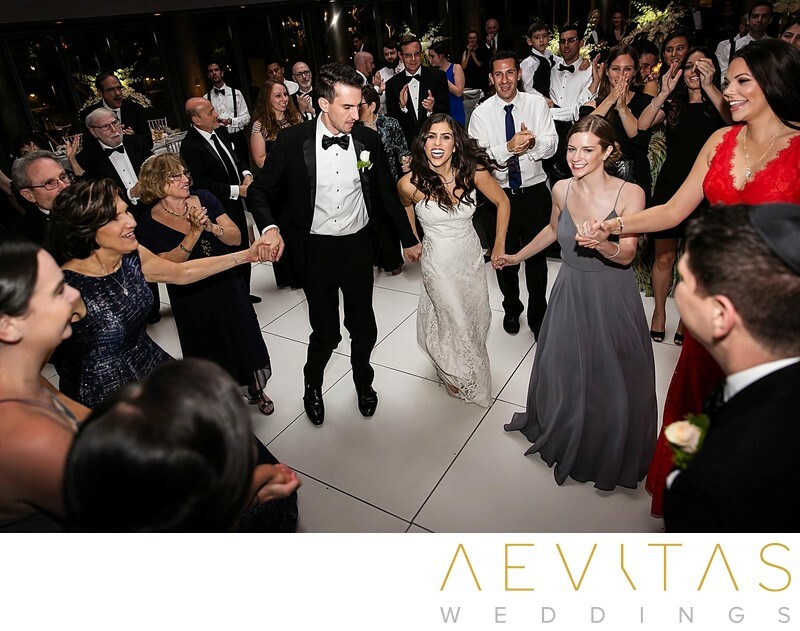 Jewish weddings are an opportunity for family from near and far to come together in celebration, with lavish feasts and wild dance floor scenes to capture. No two Jewish weddings are ever the same, which always keeps us on our toes and opens the doors to new cultural rites and rituals. 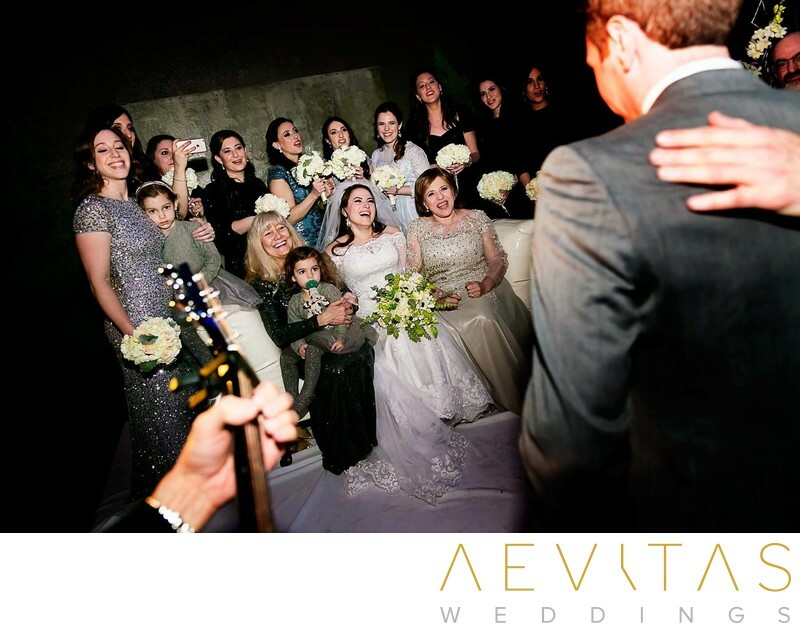 We understand that Jewish weddings are comprised of important religious rites and cultural rituals and are ready to capture them in meaningful and respectful ways. 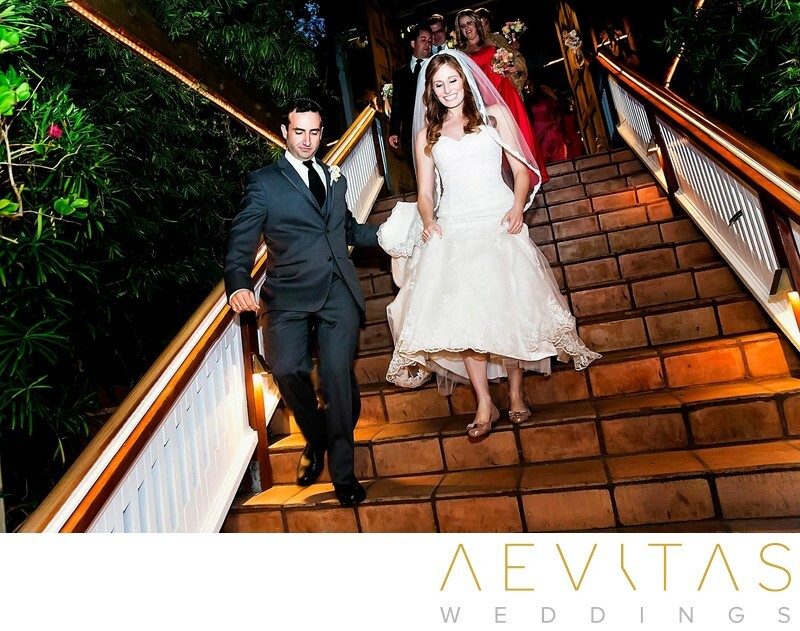 From the Horah to the Mezinke Tanz, we know that your Jewish wedding reception is going to an energetic affair that incorporates lots of traditional dancing and are equipped with high-quality camera equipment to freeze all the action into celebratory wedding photography. We understand that there are different traditions associated with different forms of Judaism and love the opportunity to capture these unique rites and rituals through creative photography. With multiple events taking place at the same time, particularly as the bride and groom are preparing with their respective family and friends, we always bring a team of photographers, led by yours truly (Henry Chen) to capture each and every moment. 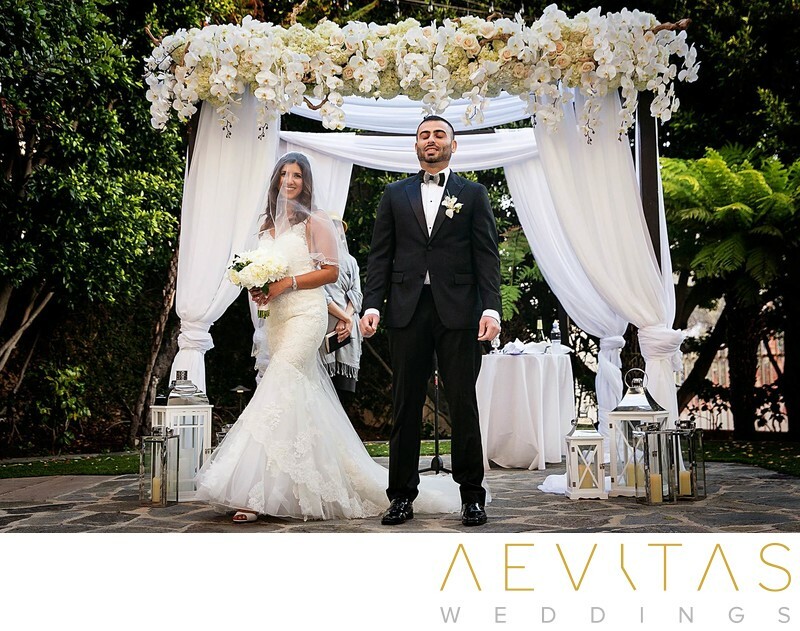 With so many different elements to organize for a Jewish wedding, we highly recommend you hire a wedding planner to ensure all of the logistical details are handled smoothly and you can just enjoy the event. 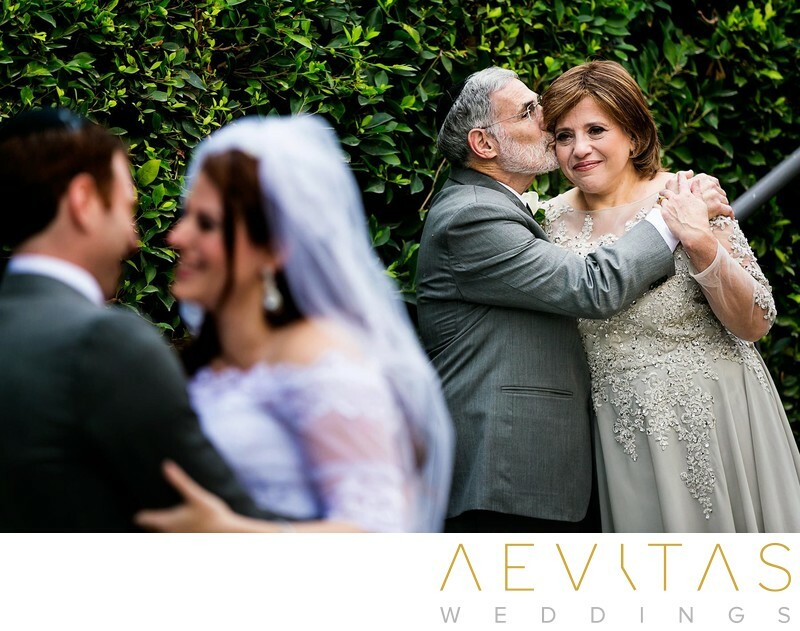 After deciding which traditional Jewish rites and rituals you want to include in your wedding celebrations, make sure you let your wedding photographer know so they can be in the right place at the right time to capture all the emotions through beautiful wedding day photos. 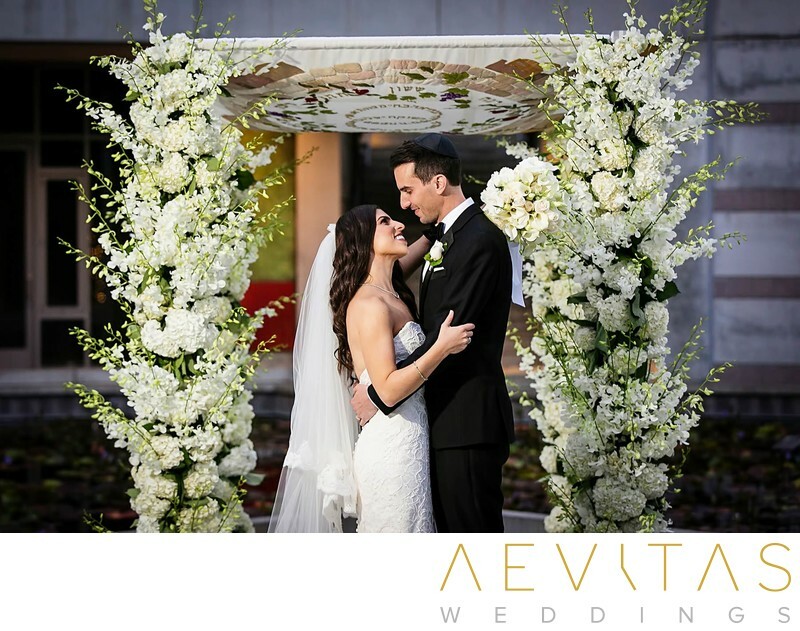 The Chuppah canopy is a great opportunity to personalize your wedding ceremony, with no strict regulations as to its size or appearance. Try not to rush any of the traditional rituals (particularly when it comes to the breaking of the glass), ensuring your wedding photographer has time to capture the moment and the reactions it initiates.